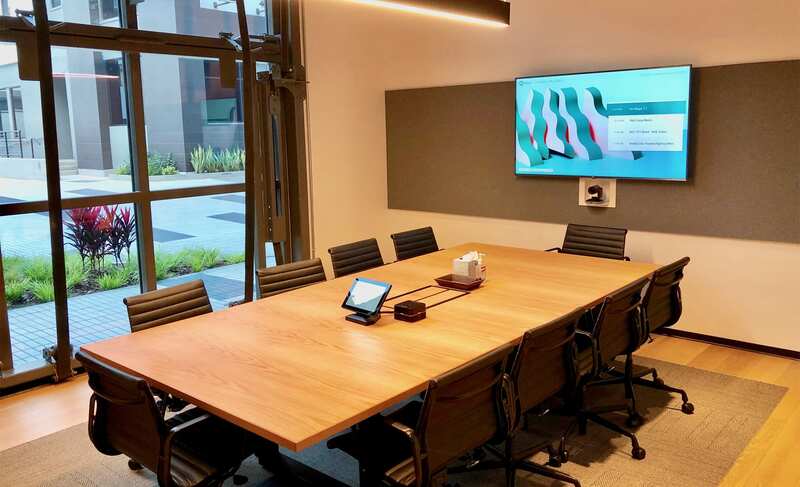 Maybe you have searched endlessly for the perfect way to have your board room and conference room audio visual design and installation done. Lightwerks is here to help you make things happen and fast. Conference rooms are important as they are the heart and soul of businesses nowadays. Conference rooms and board rooms make it possible for more effective collaborative engagement at the workplace. Therefore, it is important to have the best technology and environment for workers so they can work more effectively. To make this happen, Lightwerks is here to make your board room and conference room AV design and installation very easy. Lightwerks ensures that you have the right conference room AV solution so you can have a high quality conference room audio, video conferencing, lighting, thermostats and more. With Lightwerks, you can maximize the power of your meetings. The right board room and conference room audio video design and installation with Lightwerks will guarantee that you and your team aren’t spending too much time trying to make technology work or getting a client’s time wasted. The importance of the conference room cannot be overemphasized. It is an important part of an organization as it is where negotiation and closing of deals take place. If a company would be properly steered in the right direction, the conference room or board room is where all the magic happens. Should there now be any reason why the audio visual design and installation should not be top notch? Absolutely not. Because of the importance of the business conducted in this space, a board room will typically have higher grade equipment than other conference rooms, including larger and higher resolution flat panel displays or projection systems, superior audio- and video-conferencing equipment, power screens, power lifts to hide or reveal equipment, more sophisticated digital routing capability, and a more sophisticated, graphically impressive control system. To enable an environment where flourishing ideas can come to life, Lightwerks creates a versatile and reliable audio and visual solution that suits your unique needs and space. We have a wide range of audio/visual solutions which include multiple monitors, projector and screen, web conferencing, total control systems and integrated audio, video.